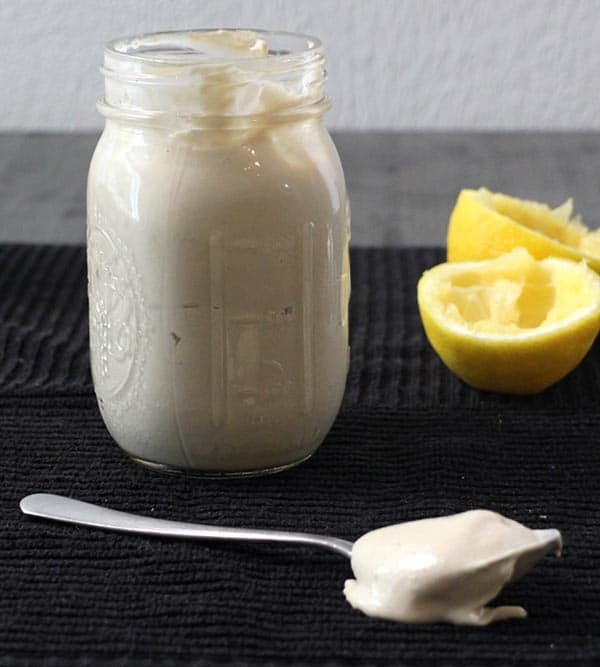 You don’t need any oil or aquafaba to make this delicious vegan Tahini Mayo. It’s perfect for sandwiches, slaws, and dips. I’m not knocking aquafaba mayo in any way with this recipe. 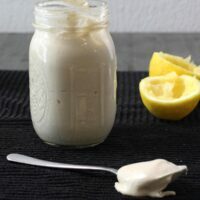 I love aquafaba mayo! But sometimes you don’t have a freezer stash of bean liquid, but you still want that sweet, sweet mayo goodness. Tahini Mayo to the rescue! The other other thing I love about this Tahini Mayo is that its naturally nut free. Some of our very favorite people can’t do nuts, so this mayo will work for alllll of the cookouts at allll of the houses this summer! The best part about this recipe, though (besides everything about it), is that it takes about five minutes to make in your blender. Just put all of the ingredients into the blender, and puree until you have rich, creamy vegan mayo. You know how I love a blender recipe. If you want to find more sauces to whip up, while your blender is out, try my All-Purpose Coconut Curry Sauce or 5-Minute Peanut Butter Sauce. Sauces make everything better! Y’all, I am so happy with how the flavor of this mayo turned out (I wouldn’t have shared the recipe otherwise!). Tahini on its own has a strong flavor that does come through a little bit in the finished mayo BUT! I tested this a lot of different ways, and I find the tahini flavor in this mayo recipe extremely mild. The mustard, acid from the lemon and vinegar, the sugar, and the garlic all work together to mask most of the tahini taste, while its creamy texture comes through. You do need to use both lemon juice and rice vinegar to get the flavor right – don’t try to do all of one or the other. The result is light, fluffy, creamy, oil-free vegan mayo in just a few minutes. The key to nailing this mayo’s texture is blending for longer than you think. In a high speed blender, it will take about 1-2 minutes to get a good, whipped texture. A regular blender will take longer, but I believe in you! Just give your blender a break once a minute, so you don’t burn out your motor. Trust me – I ruined a blender once by letting it run for too long on a different recipe! This mayo will work like a charm in so many recipes! You can use it as a sandwich spread, a dressing for slaws and other mayo-based salads, and even in baked dips. I can’t vouch for how this mayo will work in baked goods, like cakes. You might think that mayo in cake is weird, but it was the secret ingredient in my Nani Dorothy’s chocolate cake. I have not tested this in any baked goods that call for mayo. It also won’t work as well as store-bought vegan mayo for binding, like in my Buffalo Tofu Bites. You can use it in recipes like this, but your results will be better with mayo from the jar. That’s just science, y’all. Tahini is magical, but it’s not a binder. Where this mayo shines is as a dressing. It works beautifully stirred in my Broccoli Slaw, slathered onto a Grilled Avocado Sandwich, or dolloped onto your next bowl of Tofu Chili. You can also use it in place of the mayo in my Creamy Cumin Ketchup! Basically, anywhere you want mayo’s creamy texture, reach for your jar of Tahini Mayo. 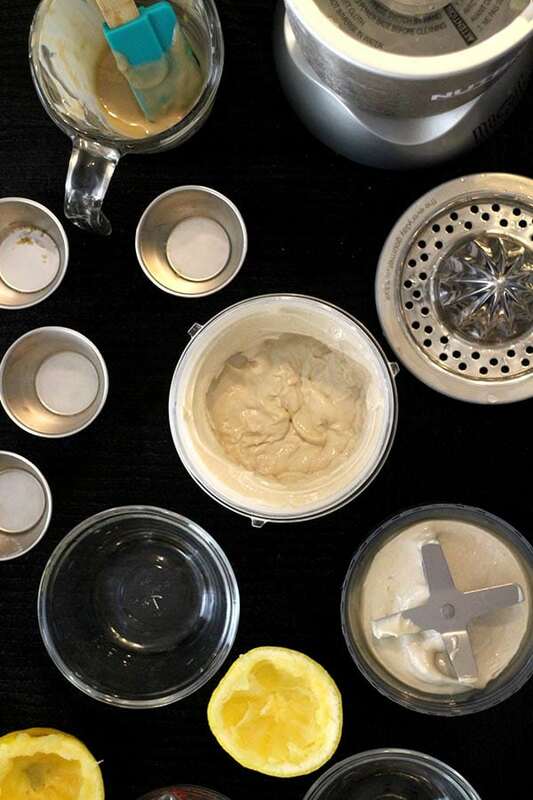 Let’s Make some Tahini Mayo, Y’all! Watch the recipe video to see how easy this mayo is to make, and get the written instructions below. I’d love to hear about how you’re using your Tahini Mayo – it’s so deliciously versatile! 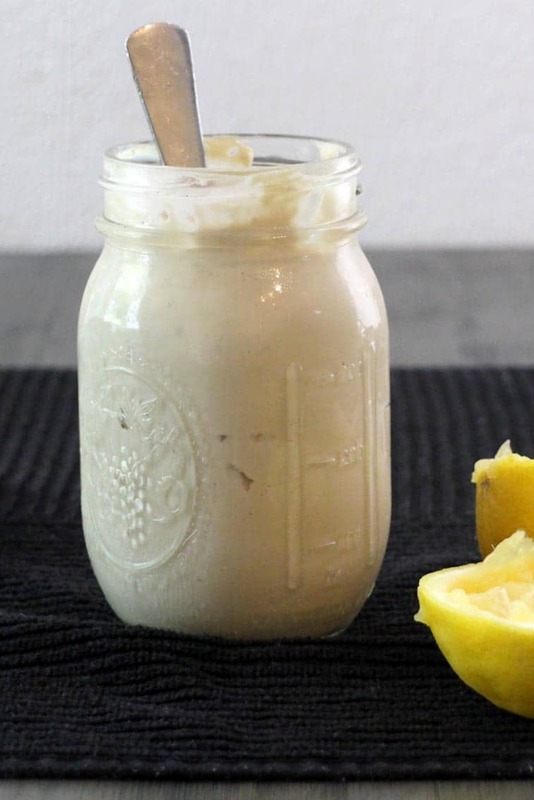 You don't need any oil or aquafaba to make this delicious vegan Tahini Mayo. It's perfect for sandwiches, slaws, and dips. 3/4 cup tahini - Make sure to stir your tahini before measuring it out! 1 teaspoon dry mustard - You can use up to 1 1/2 teaspoons, if you prefer a mayo with more bite. Combine all of the ingredients in your blender or food processor, and puree until smooth. If needed, add more water, 1-2 tablespoons at a time, until you reach a mayo consistency. Blend until your tahini mayo is completely smooth and achieves a light, whipped texture. This will happen in a minute or two in a high speed blender. A regular blender will take a bit longer. Just don't give up! Serving size for this recipe is 1 tablespoon. Your Tahini Mayo will keep for about a week in the refrigerator. Would fresh garlic work as well? I wonder if it would keep as well with fresh garlic? Yes, you can use fresh, and it will still keep just fine. 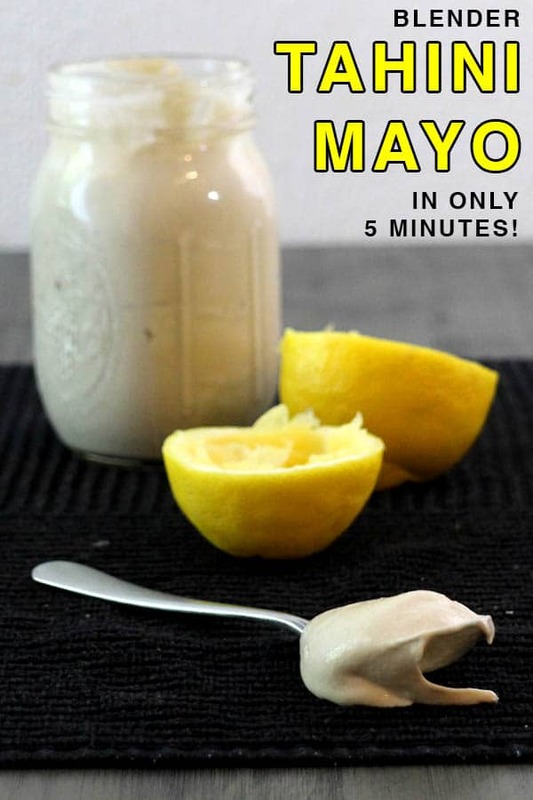 This is such a good idea for a whole foods approach to mayo! Plus, I looooooove the taste of tahini. So even if the flavor comes through a bit, that’s a win in my book. Brilliant, Becky! I go through so much mayo in the summer months, but I don’t like the idea of consuming so much oil, since that’s what store-bought mayo is made with. I love that you used tahini in your recipe, because tahini is one of the greatest foods ever. I can’t wait to slather this on sandwiches!